I'm probably the last person on earth to attempt clashing patterns but I thought i'd give it a go in my usual monochromatic style. Personally i think it's worked out quite well actually! I like how the crosses work well with the circles and then the textured top gives it a little bit of something else. This was a throw on and go outfit with very little thought behind what I was pulling on, but I'm very happy with the outcome. 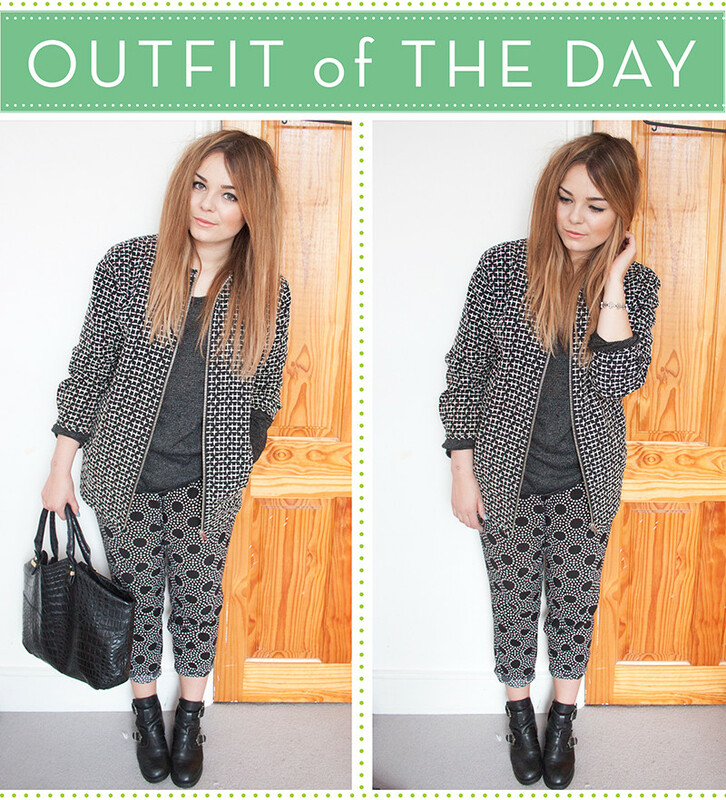 I literally still can't get enough of that Topshop coat, I wear it every single day without fail! I'll stop featuring it on the blog soon, but its just so darn pretty! I'm lamenting the fact these Monki Trousers are just way too big for me and forever regretting I didn't get a smaller size. Im probably a 10-12 (I wear 28W jeans) and the medium are just hanging off me. I literally have to roll it up twice and then belt it for it to be able to fit. I definitely recommend sizing down. Monki's sizing is all over the place and I have things that range from a XS to a XL! It's pretty mental to be honest! Today i've been running around like a headless chicken and literally nothing I've wanted to get done today has actually got done. It started off like it normally does, with my usual routine, sorting packages to send from ebay, doing blog admin, replying to emails, drafting posts for ETC LLYMLRS. And I had a meeting at 3 but ended up going to the wrong bakery so had to get a taxi to the right place, but it went well in the end! I then popped by Space NK to indulge in a few treats and de-stress (aka panic buy) where I met a fabulous man who showed me some lovely launches. I'll Instagram what I got later! I then ended up having a massive argument with a Woman in the Post Office as she was so rude to me about sending so many things. I swear some people who work at the Post Office don't realise that it's their job to send things, so why get huffy when I have loads to send. It wasn't even busy which is what I can't understand. Sigh. I then rushed home so I'd be able to take outfit photos before the light started to go. Then I went to the gym and had a super tough intense Cardio workout. Now Im home and my internet has stopped working so before I can even attempt to post this. So if you're reading this I've sorted it all out and resisted the urge to throw my laptop out the window and I am now going in the shower, eat some food and sulk for the rest of the evening! Really love that jacket! 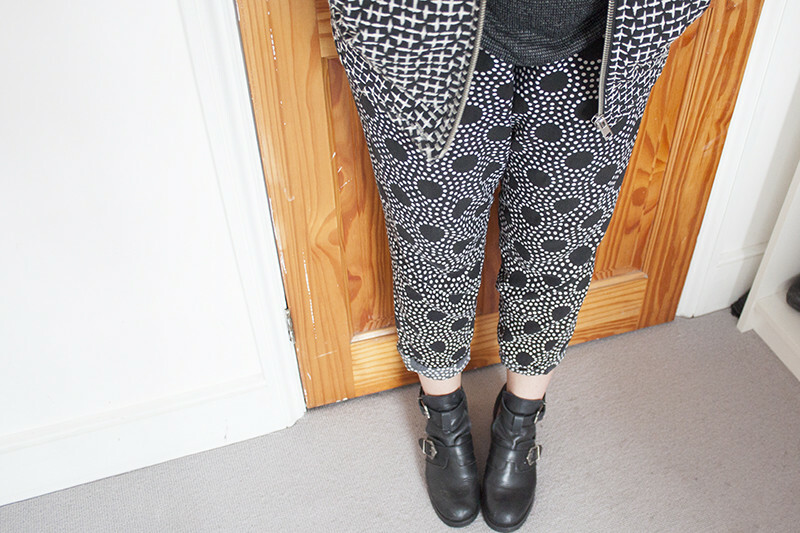 I'm always scared to mix prints, let me have your styling abilities please haha! The post office people always get annoyed by my ebay parcels - I;ve onyl had a couple be polite and patient! Gorgeous mix of prints !! Love the jacket but i just can justified spending that much on a jacket. Eurgh I have those days constantly at the moment! Tomorrows a new day and all that. Yes! It worked very well! 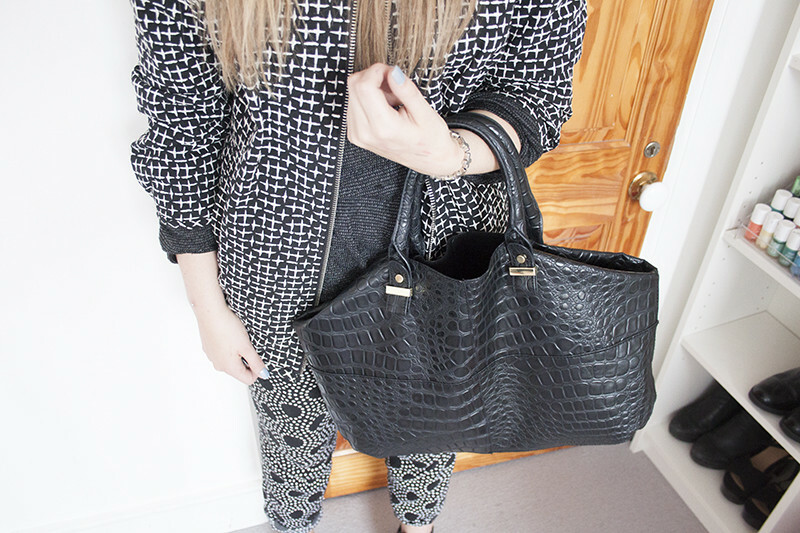 I love the clashing prints and because its in monochrome it is more subtle and defiantly something I would wear! 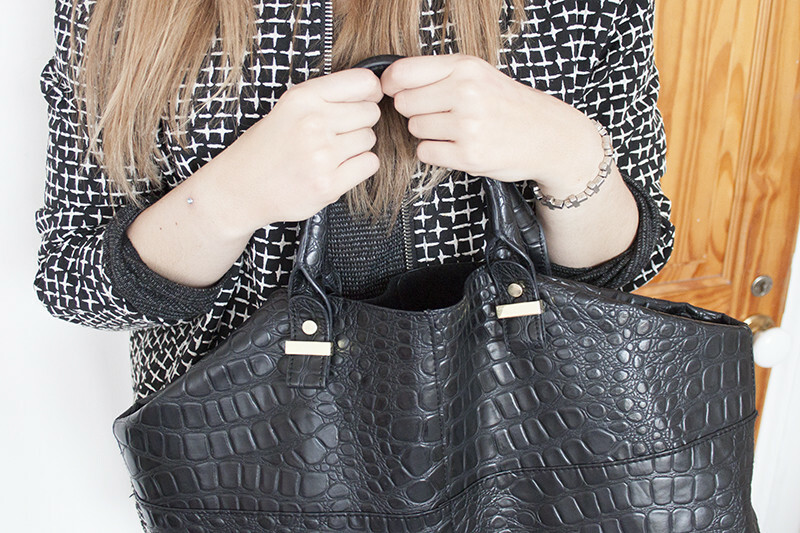 you do monochrome so well! Although I think you look super awesome in this outfit, I don't really like combining two kind of patterns - I know it's okay to combine max. 3 pattern in the fashion industry, but I just don't like it for myself :) As I said, it looks fab on you! i love the mixture of prints! I complained to the Post Office online after repeatedly experiencing arsey staff in my local branch who treated me & my ten ebay parcels like the biggest inconvenience ever. The post office make their money from parcels - not from people withdrawing cash & paying their bills so I thought they could have been a little nicer!! Love this look especially mixing two patterns! Still beautiful, and very smooth and successful pictures. Love that you incorporated patterns and prints. Interesting and creative outfit !